NOW Extra Strength BerryDophilus provides 10 Billion CFU from a combination of 10 clinically validated probiotic bacterial strains designed to support gastrointestinal health and healthy immune system function. 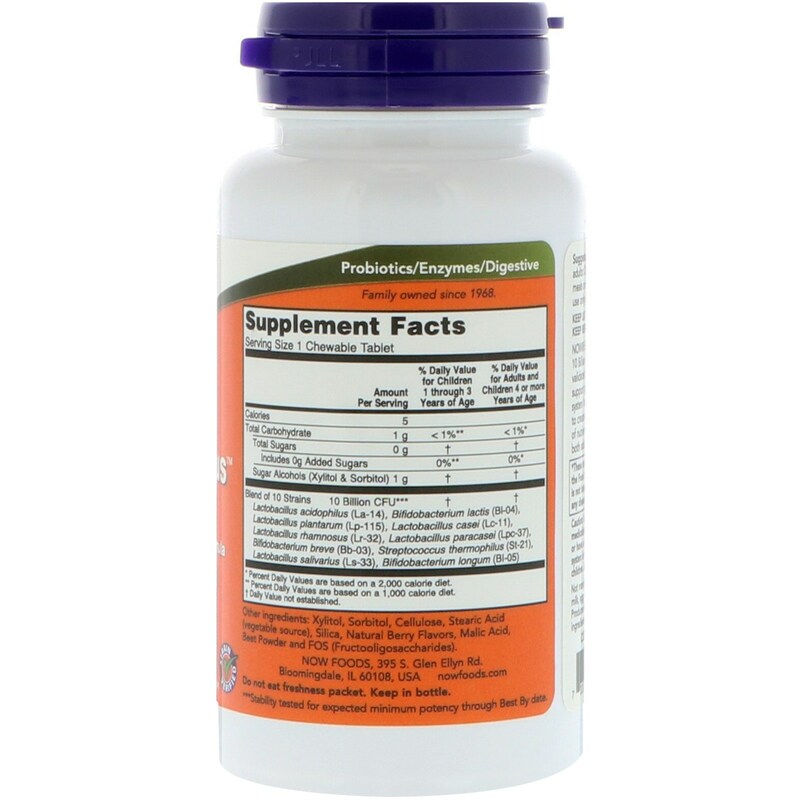 Healthy intestinal flora also helps to create a favorable environment for the absorption of nutrients. 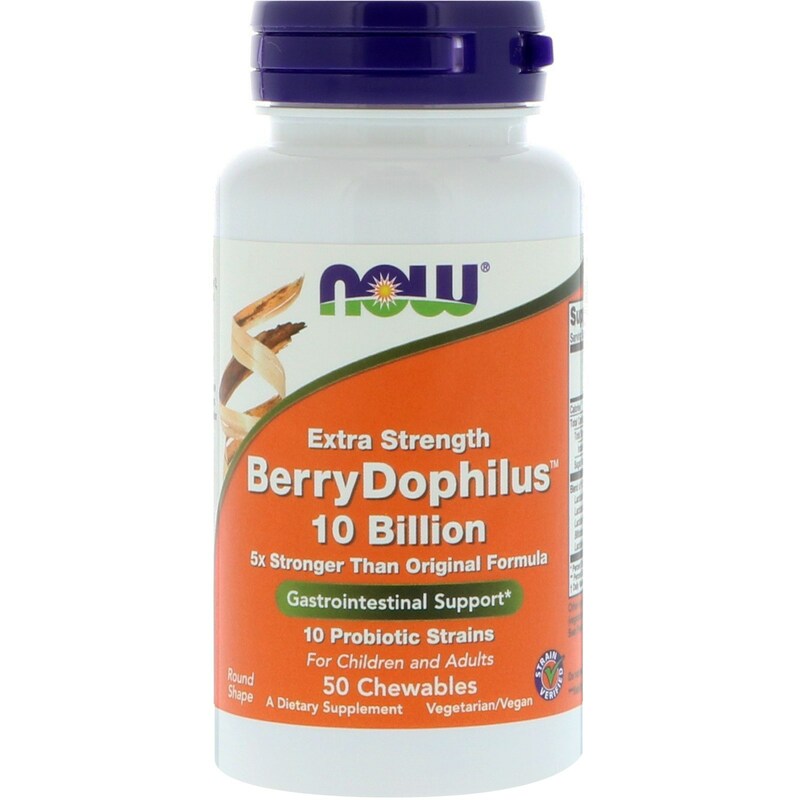 BerryDophilus can be used by both adults and children. 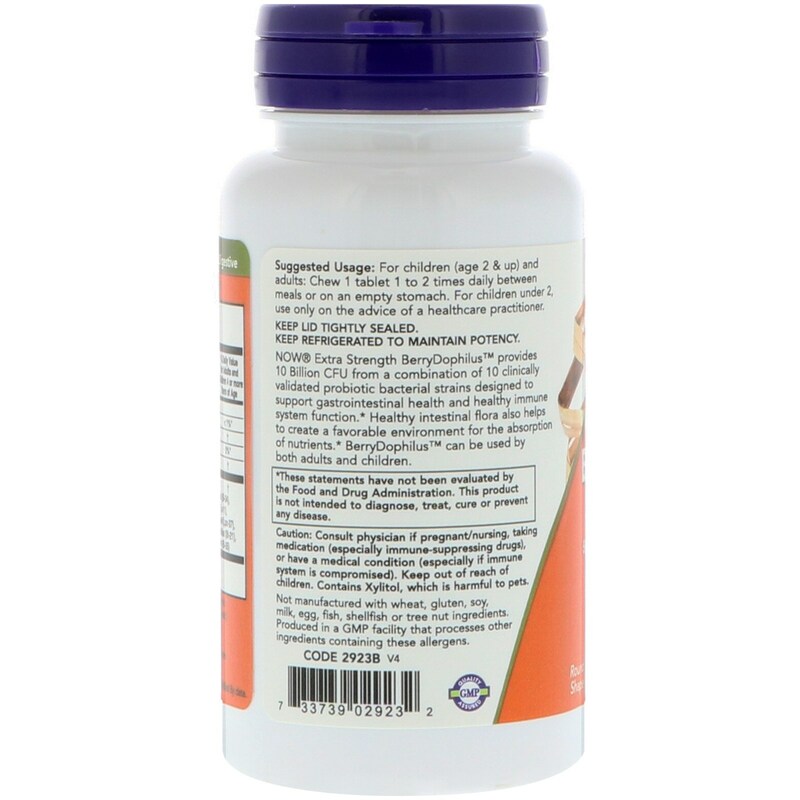 For children (age 2 & up) and adults: Chew 1 tablet 1 to 2 times daily between meals or on an empty stomach. For children under 2, use only on the advice of a healthcare practitioner. Xylitol, sorbitol, cellulose, stearic acid (vegetable source), silica, natural berry flavors, malic acid, beet powder and FOS (fructooligosaccharides). Caution: Consult physician if pregnant/nursing, taking medication (especially immune-suppressing drugs), or have a medical condition (especially if immune system is compromised). Keep out of reach of children. Contains Xylitol, which is harmful to pets. Keep lid tightly sealed. Keep refrigerated to maintain potency. ** Percent Daily Values are based on a 1,000 calorie diet. *** Stability tested for expected minimum potency through Best By date.